In the Gregorian chants that I so often heard as a child, I was fascinated by the multitude of sounds that surround and permeate the sung words. The harmony of the chants resounding in the space, the church, opened up a whole dimension, a universe of sound. At the time I did not think about it, but I felt very much part of its sacred world. Much later, I realized there is a whole spectrum of aural events that made sense of these experiences, such as natural overtones. Not just the overtones as explained by the science of acoustics, but also these numinous sonic events that I can only describe as a ‘whirl of thirds,’ descending from the corners of the monastery chapel. Music has always been an intimate and natural way for me to express myself. It began with singing at home, at school and ‘Gregorian Chant’. The music of the sixties, and ‘les chansons’ my sisters listened to so often opened up a whole new musical dimension for me. 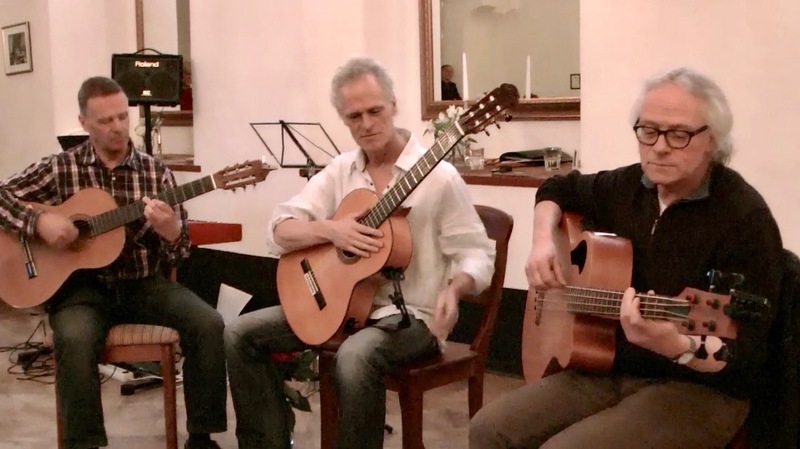 By that time I had discovered the guitar and began playing with my brothers Nol and Stefan and my sister Blanca. Then I also started singing my own songs, which I have been doing ever since. During the ‘folk-revival’ of the early seventies I found inspiration in folk-music. I loved the music of ‘Fairport Convention’, ‘Steeleye Span’ and other bands. Later still I studied both jazz and classical music. During the late eighties I developed a love for the Moorish influence in music and discovered the Arabian lute, the ûd. I have the great luck of being able to make music with my brothers Nol and Stefan. We sing and play various styles. First of all Folk, our ‘root-music’, but also jazzy songs and some of our own compositions. 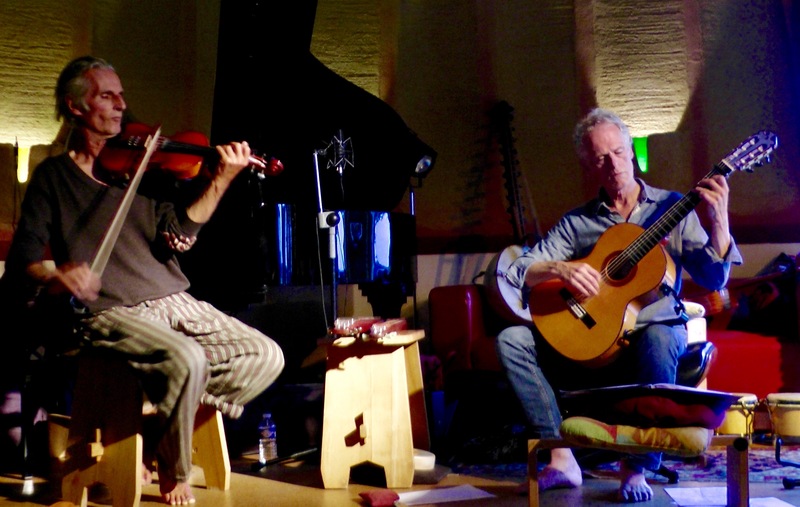 One of the great musicians I have been playing together with regularly for many years now. From 1980 onwards, I have studied various forms of singing (Roy Hart, Lichtenberger, and later Werbeck) and chanting and started giving workshops and course exploring chant and alternative ways of singing. Along with teaching the guitar, I continue to develop this work. Point of departure in this approach is the beauty of our own natural voice that comes from within. ‘Voice and Consciousness’ combines art (music, dance, oratory), personal development and spirituality. Over the years the journey I make as a man and a musician with all that goes with it and my spiritual aspirations have gradually merged into one. My approach to spirituality has increasingly become one of wondering, exploring and opening up rather than asserting and concluding. a picture of the early days. Some of my sisters and brothers: Hedwig, Nol, Jan, Blanca and Stefan Duindam.